Before tricycle landing gear became standard on most modern aircraft, early airplanes were designed with a tailwheel landing gear configuration. Aircraft with a tailwheel or “conventional” landing gear layout have two main wheels placed forward of the airplane’s center of gravity with a smaller wheel or a skid supporting the tail of the airplane. While some consider tailwheel aircraft “old fashioned” and more challenging to operate than aircraft with tricycle landing gear, there are plenty of benefits to flying a tailwheel. In fact, light sport tailwheel aircraft have grown in popularity in recent years, particularly among backcountry bush pilots. Are you thinking about learning the lost art of tailwheel flying? Here are four great reasons to start training for your tailwheel endorsement. 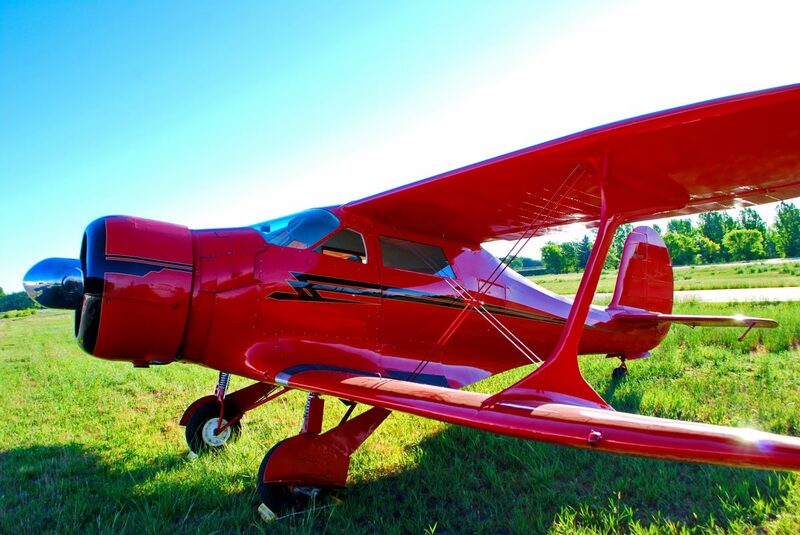 From vintage aircraft to the latest light sport models, some of the most fun-to-fly airplanes are tailwheels. Understanding tailwheel flying will expand your aviation horizons, opening up opportunities to experience unique, exciting aircraft that you wouldn’t be able to fly otherwise. There’s a reason that tailwheel aircraft are a favorite among bush pilots. Tailwheel airplanes are generally lighter and more rugged, making them well-suited for STOL performance on unpaved landing strips that might cause damage to tri-gear aircraft. Because tailwheel aircraft sit in a nose-up position, the propeller has more clearance from the ground, which helps to prevent the risk of prop strike damage when landing on rough terrain. If you’ve ever wanted to explore the thrill and adventure of backcountry flying, learning to fly a tailwheel is a great place to start! Flying a tailwheel requires a pilot to develop superior stick-and-rudder skills, especially during takeoff and landing phases. This is because tailwheel aircraft tend to be far less forgiving than nosewheels when it comes to tolerating poor stick-and-rudder technique. Many pilots who are accustomed to flying tri-gear aircraft have to revisit basic skills and learn to become proactive rather than reactive with the rudder. While learning to fly a tailwheel takes patience, precision, and coordination, it’s a valuable way to enhance your rudder technique and improve the quality of your takeoffs and landings in any type of aircraft. Because the tailwheel endorsement doesn’t require a minimum number of flight hours, many pilots who learned to fly in a tri-gear airplane can earn their tailwheel endorsement in as little as 5 to 10 hours of training with an instructor. Training will focus on maintaining directional control as well as mastering three-point and wheel landings. It takes plenty of ongoing practice to master the techniques needed to safely fly tailwheel aircraft, but the endorsement itself can be obtained over a long weekend. So go ahead, take the plunge and add the tailwheel endorsement to your skill set. Not only is it fun and rewarding, but you just might find that you become a better all-around pilot in the process.